When page numbers are not present on any file especially in PDF documents it becomes quite difficult to handle them as well as locating particular important information stored within them. Therefore, adding page numbers to Adobe’s Acrobat Reader PDF portable documents becomes an important task for proper management of the portable document file. The page numbers can be located either at the header or footer and it can be in the form of mathematical digits, alphabets, roman numbers, etc. 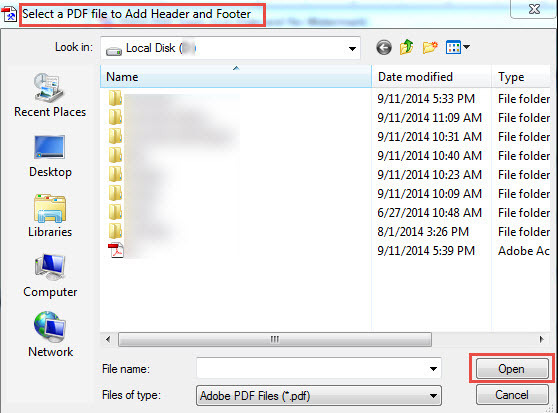 This guest post goes into discussing steps to add page numbers in PDF documents. Step 1: Visit www.pdfill.com and download the free PDFill PDF Tools on the system. Once downloaded, its icon appears in red color rectangle as shown in the figure below. 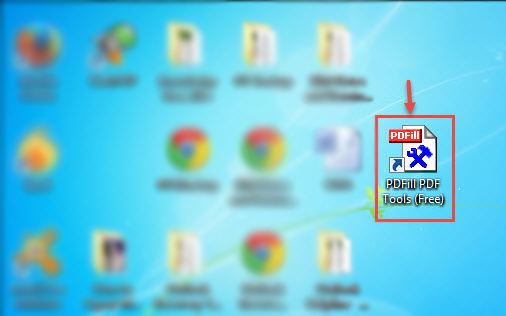 Then double click on PDFill PDF Tools (Free). Step 2: On doing so, a window consisting of several tools as displayed in the figure below comes up on the screen. Click the tab ‘Add Header and Footer’ on the window. Here, a screen shot of version 11.0 is shown. 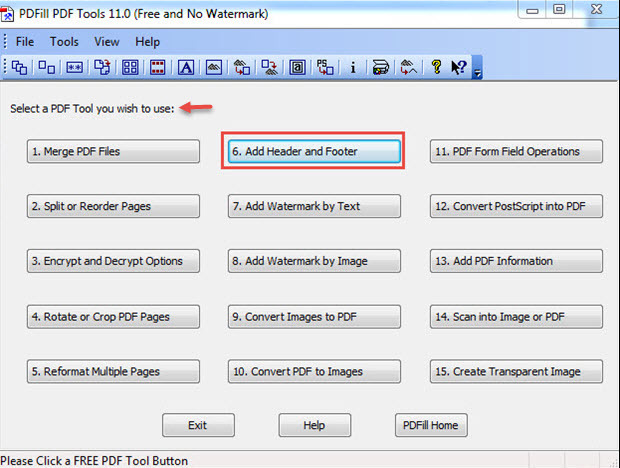 Step 3: Then select PDF file with the assistance of the option ‘Open’ provided in the tool’s interface to add page numbers, either at header or footer of PDF files. Step 4: On selection of the PDF document, ‘Free PDF Tools: Add Header and Footer’ window pops up as shown in the image below. 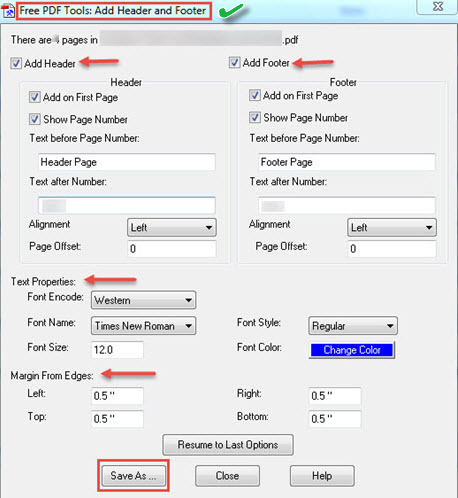 As per choice page numbers can be added in the header, footer or at both places in the pages of PDF file. For selection, check boxes named ‘Add Header’ and ‘Add Footer’ has been provided. Many other settings can also be performed for adding page numbers. Text Properties such as Font Size, Font Color, Font Style, Font Name and Font Encode can also be selected. Also ‘Margin from Edges’ can be set up on the Top, Bottom, Left and Right as per want. A facility to resume to last options’ is also provided in the tool’s interface. Finally, the tab Save As should be clicked to add page numbers to the pages of a PDF file. On doing so, a window with option to select the location and to give a new name to the file with added page numbers comes up on the window. Moreover, the PDF document with page numbers added in it also opens up on the screen. The application can process only one file at a time which is a huge setback. The process becomes quite hectic when large number of PDF file is present. Cannot add bates number to encrypted PDF files. 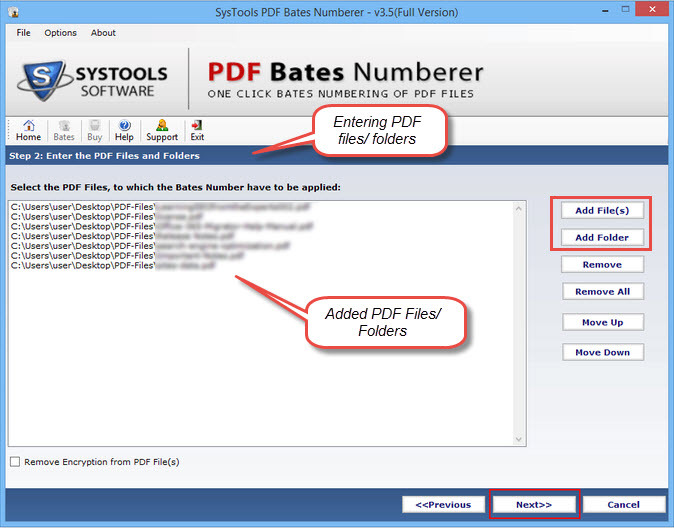 Another way-out to add page numbers to PDF files is by the usage of PDF Bates Numberer that is available on the official site of SysTools software. It is a tool that has been designed professionally to help users in adding page number to PDF files and that too in bulk. It means that page numbers can be added to multiple files all together at a once. Though not provided free of cost like PDFill PDF Tools, it renders demo version for free to test its working and functionalities. Step 1: Install the tool on any Windows machine and open it. The first screen that comes up is shown in the figure below where the tab Bates should be clicked upon. 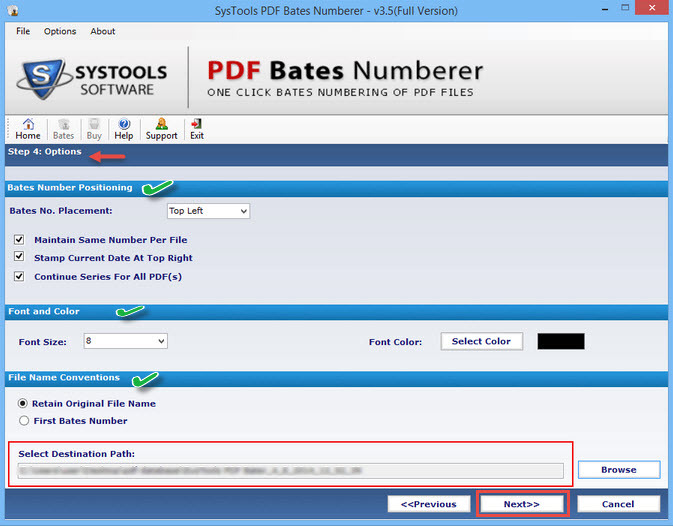 Step 2: The second screen of the interface provides three options for generating bates number out of which any one can be selected. Then click ‘Next’ button to proceed. Check This Post:- How Do I Convert an OST File to a PST File Format? Step 3: The next step involves selecting PDF files and folders and the tab Add File(s) and Add Folder option is provided for that. Remove and Remove All tab is an added option rendered to remove unwanted .pdf documents. If the document is encrypted, then the check box ‘Remove Encryption’ should be checked that appears at the bottom of the interface. Step 4: Then the description of the Bates number to be added should be specified. The important details that should be filled in are prefix, suffix, Number of digits, Start number, Incremented By, Additional Text and Text Positioning. Step 5: Finally the fourth step in execution of the software arrives. In the options step Bates number positioning, Font size, Color and naming convention should be selected as per requirement. Also, the destination location should be browsed by clicking on the Browse tab. Thereafter, the ‘Next’ tab should be clicked as displayed in the image. Step 6: Finally, a summary report is generated displaying detailed information like: number of PDF file, font size, font color, file name, status, etc. The tabs Preview and Generate can be made use of accordingly; the former should be used to view how the PDF pages would appear after stamping of Bates whereas Generate should be clicked to start the process of Bates numbering. In the figure below the status is pending as bates have not been added. 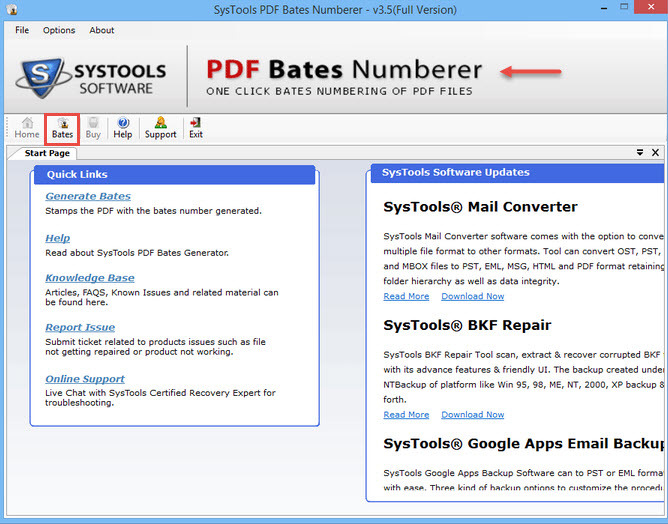 Step 7: Finally, a small window pops up displaying the completion message of Bates numbering on the PDF files(s). Hence, in the screen shot below, the status is shown as completed. 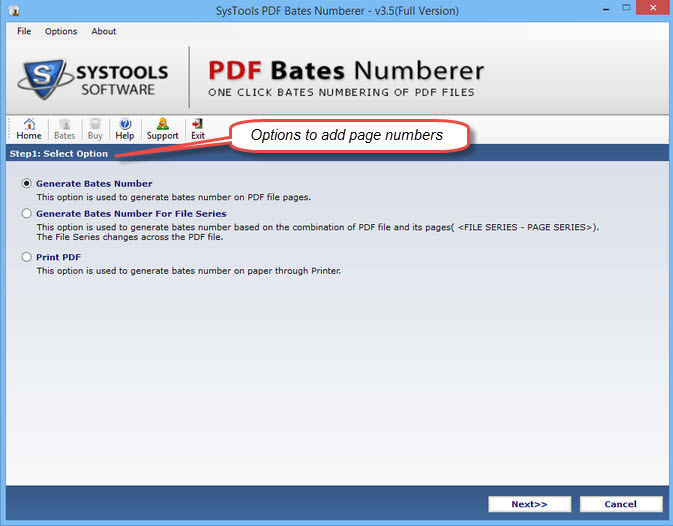 Multiple PDF file(s) can be given bates number at a time. Installation of Adobe Acrobat Reader is not as vital. Ability to remove encryption and add page number. Allows putting page numbers and printing it on paper. 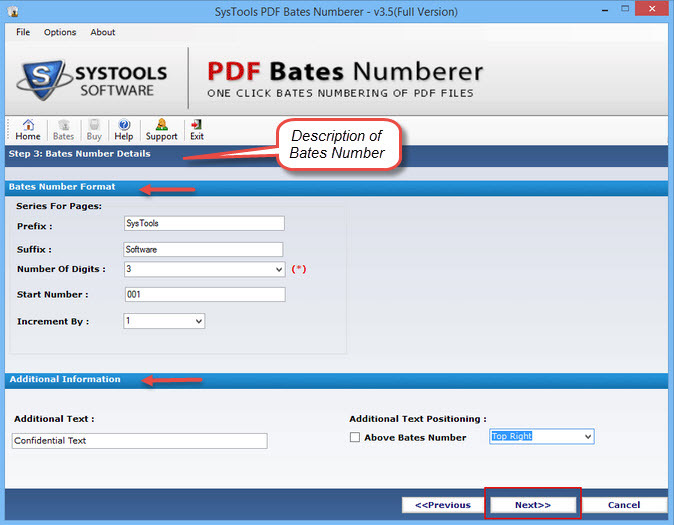 Renders various options for formatting to add bates number. Easy to use tool as it involves just a few clicks. Its licenses have to be purchased. 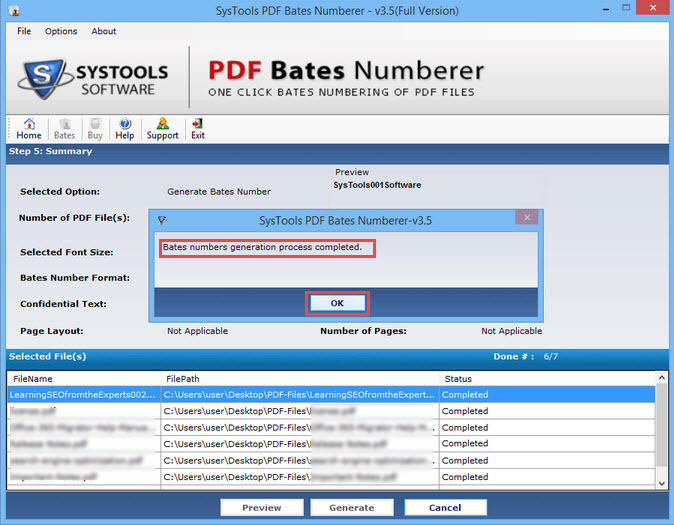 In this guest post, steps to add page numbers in PDF documents is explained in detail by two methods; one by using PDFill PDF Tools, which is a free utility and the other by PDF Bates Numberer. Though the latter is not a free application it possesses many advantages that are not present in the former. 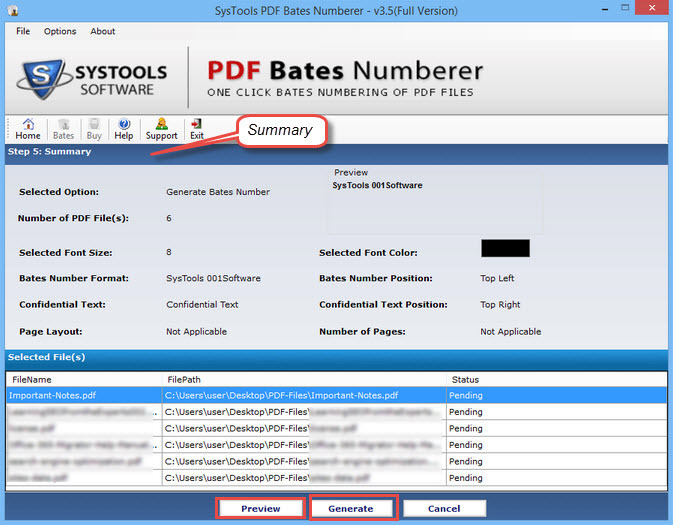 So, it can be said that PDF Bates Numberer tool by SysTools outshines PDFill PDF Tools in many aspects in adding page numbers to .pdf file(s).